This DroneDeploy review takes a look at the app and platform features, including pricing of their excellent solutions used to create meaningful aerial data in the cloud. Below, you will also excellent DroneDeploy tutorials and closer to the bottom, we have links to manuals, the DroneDeploy forum and contact details including phone number. Sprinkled throughout, you will find some excellent DroneDeploy tutorials. Now, DroneDeploy are one of many companies in the aerial mapping software solutions sector. There are many DroneDeploy alternative software solutions out there and we will list and give links to these. Ok, let’s start with a look of the DroneDeploy apps and platform. The DroneDeploy software app automates drone flight and also makes it very easy to capture aerial images. The DroneDeploy software platform processes the UAV images using computer vision turning them into 2D, 3D maps, models and more. Since 2013, the DroneDeploy software platform have processed millions of images and created thousands of maps. It is regarded as the leading drone mapping app and platform available. All you need is a drone and a mobile device with the DroneDeploy mobile app installed. With your drone switched on, then open up your DroneDeploy mobile app. Next, select the ground area you would like to create the map off. Then, with just one more tap in the DroneDeploy software, the drone will take off and fly 100% autonomously over the target area taking high resolution photos at regular programmed intervals. 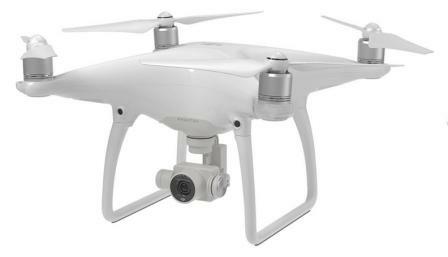 The images captured by the drone are geotagged, which assist in creating the maps. As the drone is flying, a 2D map will appear in your DroneDeploy app. When finished you upload your photos to the DroneDeploy website. Wait a couple of hours and your photos are meshed into your 3D maps or model. Measure area and volume instantly. Get help when you need it with in app support. Here is a nice introduction to the DroneDeploy mobile app. The DroneDeploy Live map only recently developed is available for iOS devices and is even better than the mobile app. The Live map will create 3D maps while it is flying the target area. In other words, drone maps created in realtime on your mobile device. This allows you to view data which you can act on straight away. There is no need to wait for the data to be uploaded and then processed. It is creating the maps and model and the drone flies. Here is a few of the major benefits of the DroneDeploy Live Map. 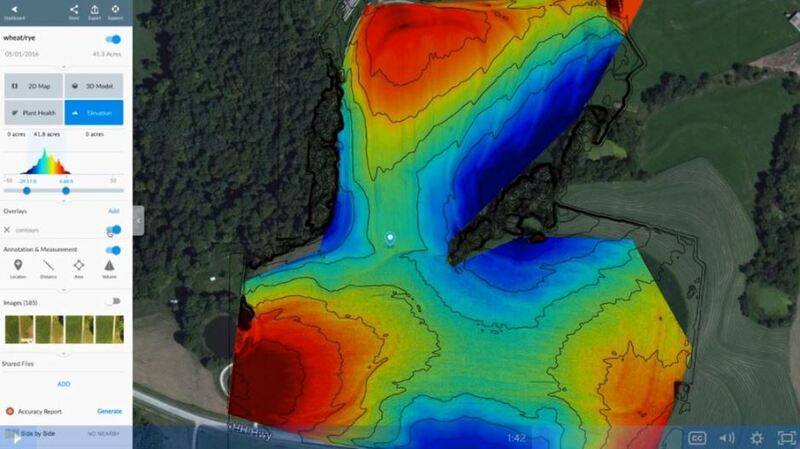 Instant Results – Generate aerial insights in seconds and sync your data to the cloud. Onsite Insights – Visualize and take immediate action with RGB and thermal imagery. Mobile Maps – Plan a flight, take off and see maps render onscreen during flight. Fast – Get an aerial view of your job site, field, or project faster than ever before. Realtime – Turn hundreds of acres into consumable maps without going back to the office. Collaborate – Share maps with clients, collaborators, and analysts in minutes as no uploads necessary. High Resolution Data – Create high-resolution maps for further analysis on any device from the same flight. Now, with live map, you can still upload your images for further processing into full 3D models. With Thermal Live map, you can easily identify areas of interest as your drone flies. The Thermal Live map visualizes temperature range variability on your mobile device in realtime. You can then share the thermal map with your team immediately. Having thermal imagery allows for surveying of of power lines, buildings, solar panels, pipelines, detect irrigation problems in agriculture land and are of tremendous use to fire departments and rescue services at night time. Below is an introduction video to the DroneDeploy Live Map for iOS devices. In reality, you can use any drone to capture images. Then upload them to DroneDeploy and they will create the maps and models for you. However, DroneDeploy recommend the following DJI drones for use with their Mobile and Live Map applications. If you are new to photogrammetry and want to start working with 3D maps and models, then the above Mavic Pro and Phantom 4 drones are terrific. You can also learn more on how 3D maps and models are created in this article entitled “UAV Photogrammetry and Lidar Mapping Basics“. This DroneDeploy tutorial shows you just how easy it is to use the DroneDeploy mobile app and create a 3D map. You can see how the DroneDeploy app is terrific for both beginners and experts. To create a high resolution 3D map or model, upload your images to Drone Deploy cloud platform. 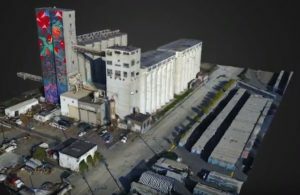 Their software uses computer vision and algorithms to mesh the photos together to generate the 3D maps. Other data output include volume measurements and Normalized Difference Vegetation Index (NDVI), used by multispectral farming drones. The DroneDeploy blog contains information including real life examples and stories to give you a feel how you can use their apps and platform in your sector. Here are some of the success stories being created by the DroneDeploy software. There are over 80 apps, which integrate with the DroneDeploy app and platform. 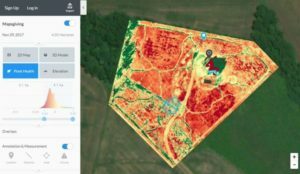 The DroneDeploy app marketplace allows for even better outputs and meaningful data for surveying, volumetric measurements, monitoring crop health, build maps and models. Example of the apps which integrate with DroneDeploy are AutoDesk, ArcGis, John Deere, Agremo, Skymatics, EZroof and many more. You can view the full DroneDeploy app marketplace here. The app marketplace puts DroneDeploy ahead of many of its competitors. You can create and streamline your workflow by integrating drone data directly into existing software or build you own custom applications from within the DroneDeploy interface. The DroneDeploy developer platform allows you to build your own custom applications to suit your needs. The DroneDeploy software platform creates the 3D maps from the images stored on their servers in the cloud. DroneDeploy take care of your data making sure it is always available and backed up. 3D maps can be massive in size and require a lot of power to process the images into maps and models, which can produce meaningful data. Generally, your standard computer or laptop wouldn’t have the processing power to create these high resolution maps quickly. DroneDeploy has the server power and bandwidth to process the images into high resolution maps and models. Their online solution means you can view and analyse you data on any internet connected smartphone or computer. The DroneDeploy platform is flexible and you can add users to share your models with. This allows for collaborating and inputs from many parties if needed. Let’s take a look at the various DroneDeploy pricing and costs starting with the free trial. The DroneDeploy mobile app is free to use and all new users have a 14 day trial. The free trial DroneDeploy Explorer plan enables you to create 2D maps and 3D models without charge. You get some of the great functionality offered by the platform, such as automated flying, image processing and sharing including annotating your maps. However, you are limited in terms of the number of maps you can process and other advanced capabilities (volumetric calculations, data exports, etc). This is ideal for an individual launching a drone small program. It costs $996 annually. If you pay month by month, then the cost is $129 per month, which would bring the DroneDeploy cost to $1,548 for the year. The DroneDeploy Business pricing plan is ideal for teams, which require larger maps, more data, and more export types. It costs $2,988 annually. If you pay month by month, then the DroneDeploy cost is $399 per month, which would bring the cost to $4,788 for the year. The DroneDeploy Enterprise plan is for large teams which require advanced security and need a customized solution. The DroneDeploy team with work with you on the solution and the pricing model will reflect the solution. You will find a huge amount of invaluable DroneDeploy documentation and manuals here. This includes subject heading with plenty of information under each heading. DroneDeploy can cover almost all sectors for drone based mapping. All their solutions are is easy to use. Their Mobile App, Live App and Enterprise Platforms are top technology and DroneDeploy put huge efforts into continuous improvements. The DroneDeploy support is also being exceptional. Their are many DroneDeploy alternatives on the market. If you are new to mapping and modelling, it is essential to trial the many photogrammetry mapping software solutions on the market. Some of these photogrammetry alternatives are very specific to building, agriculture on creating models of buildings. Many are excellent at what they do and their costs vary with a number of free photogrammetry packages available in the below list. For example “Open Drone Map” is totally free but you need some technical knowledge to get it up and running. There are all similar and yet have enough differences at the same time. All of the below software have free trials and you will find many YouTube photogrammetry tutorials and reviews of these DroneDeploy alternatives. Maps Made Easy orthophoto and 3D models software. Open Drone Map photogrammetry software. You can read further on these DroneDeploy alternatives in this article entitled “Best Photogrammetry Software For Mapping And Modelling“. DroneDeploy is a private company and was founded in 2013 by Mike Winn (CEO), Jono Millin and Nicholas Pilkington (CTO). The DroneDeploy office is in San Francisco, California and they have over 100 employees. The idea for DroneDeploy came about through efforts to assist park rangers in Kruger National Park in South Africa. The 3 friends wanted to leverage drones to help catch poachers, which were illegally hunting rhinos in the park. With only 650 rangers to protect the 7,523 square mile park, it was impossible to patrol the entire area. There wasn’t any real drone mapping software in 2012. At that time, there were only large ground stations and Windows based PCs, which required a big investment and plenty of training. There was no easy and intuitive software solution to fly drones autonomously. From there, DroneDeploy was born. Mike, Nick and Jono set out to create a drone software platform, which anybody could use to create and share high resolution maps and imagery to support every commercial use. To finish, we have another couple of DroneDeploy tutorials showing you how their software works in various sectors. This next video show you how to use DroneDeploy to create a 3D model. How to easily create a new flight plan is covered in this next video. 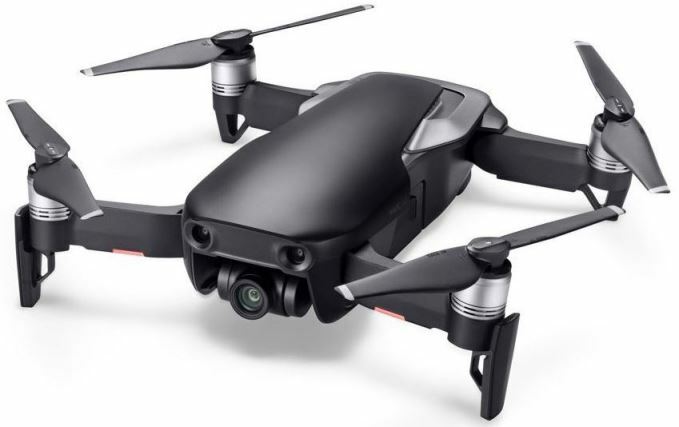 The DroneDeploy video is using a DJI Mavic Pro. This last DroneDeploy tutorial shows you how to use Agremo Insights from the DroneDeploy App Marketplace.